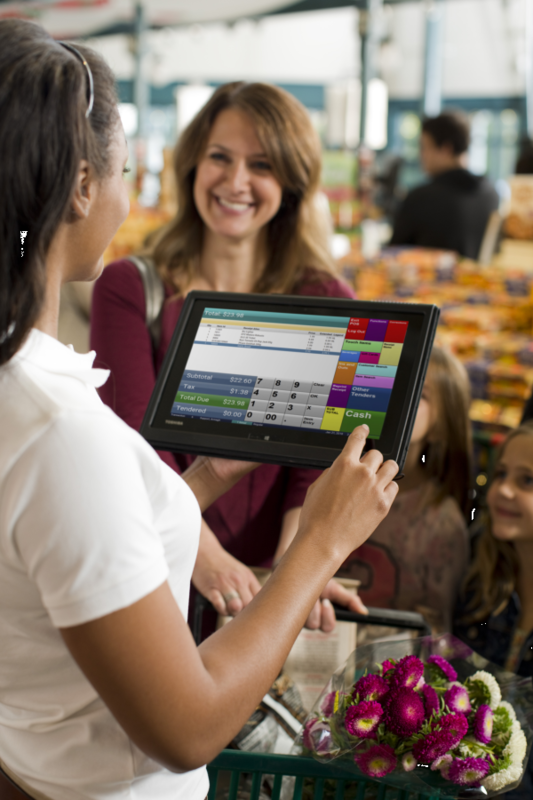 Mobility and durability define Catapult Mobile POS. Tablets equipped with an on-board scanner and magnetic stripe reader give retailers the ability take the POS anywhere while staying connected. At peak times like Christmas and New Years, lines become longer and customer wait times become a problem. Some customers simply won’t wait. At times like that, a mobile POS handheld terminal can make all the difference in the world. 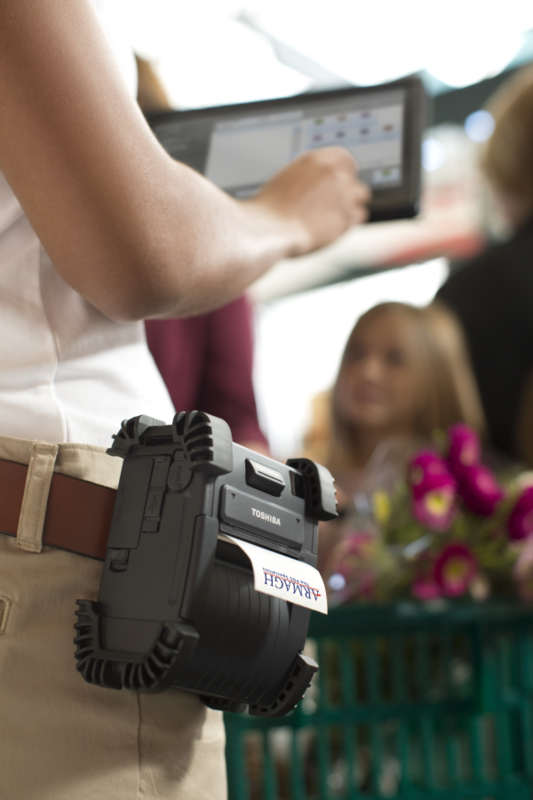 Armed with a wireless mobile POS with a built-in scanner and wireless belt printer, a trained cashier can go out to the line and pre-scan customer purchases, and provide them with a barcoded receipt. When the customer arrives at the checkout, all they have to do is scan the receipt and pay – everything is already scanned – saving time and reducing lines. Whether running on a traditional POS lane, or on a handheld mobile POS lane, Catapult is the same POS software on either platform. This makes installing, configuring, and maintaining Catapult mobile POS handhelds extremely easy. It also reduces training time in stores significantly because cashiers and managers are already familiar with the Catapult POS software. Using Catapult POS PickAssist feature, this mobile solution is ideal for quickly picking web orders generated from your Catapult WebCart. To take full advantage of the Catapult pick solution, you need a compact but fast hardware solution. Unlike competing pick solutions, PickAssist allows you to process multiple orders at once, guiding personnel through the store using the most efficient pick order route possible. It also automatically retransacts orders whenever deletions, additions and/or substitutions are made. You’ll never have to rescan an order at the POS lane, an extra step that competing solutions require. Additionally, this hardware/software combination is ideal when used to deliver web orders to the customer’s car, or directly to their home or business.